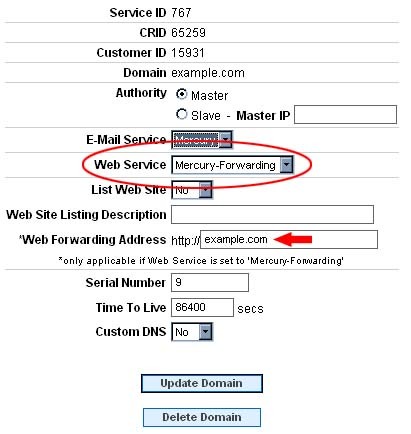 Web Forwarding is used to have one Domain forward to another Domain. For example: if you type example2.com into your browser, it will forward and resolve to example.com (assuming the forwarding is set up properly). This works for web sites with multiple domains. It is advantageous to have this feature setup for multiple domains so that there is no need to make changes to several DNS records if a transition with the site were to take place.